FindItMore | The world has become extremely competitive and every organization is racing to become the best in its field. However, while conceptualizing strategies to become the best companies sometimes forget to take care of the most important aspect of their business, ‘the customers’. Every company that aims to generate profit has to take care of their customers in order to reach the pinnacle of success. The customers are the key to steer more growth and generate more revenue. Therefore, it is important to build very healthy relationships with your customers. In order to that, the company has to integrate a lot of processes that are aimed at offering a fantastic experience to the customer. One of the smartest ways to maintain fruitful customer bonds is via Microsoft Dynamics CRM. Just like any other CRM solution, this tool also helps the customer support team to manage the customer queries. But, it has a plenty of additional features that make it far superior than its competitors. Microsoft Dynamics 365 is the latest edition of Dynamics CRM. It is brimmed with a myriad valuable features. The Unified User Interface of Dynamics 365 offers a similar experience throughout all the platforms. Whereas, the intuitiveness and the attractiveness make it easy for the reps to work on it for longer hours without getting bored. Also, the customer support division of Dynamics CRM stores all the interactions of the customers reach out to the contact center. This helps to fetch all the required information whenever the same customer comes again. Additionally, the customer support section of Dynamics 365 has the capability to record various important numbers like the SLAs, and it also offers a plenty of useful analytics. However, the most important factor behind offering a flawless customer experience is replying to the customer queries in less time. However, unfortunately, it is believed that most of the companies want to maintain a good response rate but they are not equipped with the right tool to help them achieve this goal. By adopting Dynamics 365 you are free from the compulsion of using multiple outdated solutions to fetch the necessary data about the customers. Dynamics 365 offers the customer support reps all the data they require at a single platform. A comprehensive 360-degree view of every customer’s journey, like a detailed history of customer communications as well as the inclinations. 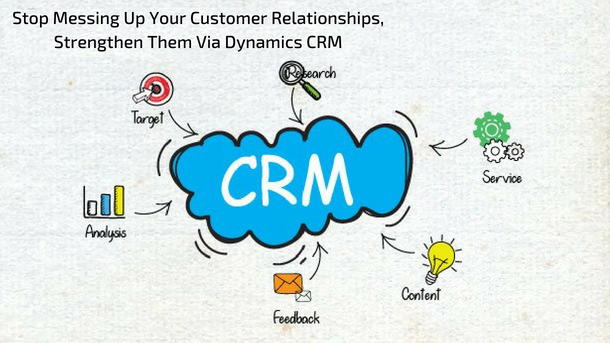 With the integration of Dynamics CRM, the company can offer various ways to the customers to reach out to them, and calling the customer team is not the only option. Email interactions can also be managed through the platform. Also, it contains a self-help sort of a section to get all the necessary information that they require. Extremely easy to navigate user knowledge bases and the online communities help the user to get the answers of some of the questions on their own as well. In fact, even the customer support team can refer to the knowledge base to find appropriate information in order to deliver first-rate support to the customer. Now, let’s deep dive into the productivity of the agents. There’s simply no doubt about the fact that customer support executives are compelled to waste a lot of their important time on repetitive and unimportant tasks. And, this hampers their productivity. However, Dynamics 365 helps the staff to work more productively as they get access to the useful insights as well as the necessary tools to offer a world-class experience to the customers. Also, the ease of using the solution, even from the smartphone has made it all the more preferable for the teams whose sales reps are mostly on the fields. The mobile app not only helps them to update the dashboard from anywhere but it also helps them to stay connected with the team. Even the marketing team gets a lot of benefits by using Microsoft dynamics CRM consultants. The solutions allows them to create, distribute and track the marketing campaigns. It also helps to dive into the useful analytics in order to make important reports. Plus, they can even use the scoring method to records their leads, and find the best probable clients to focus on! Customers should be the prime focus area of every company. Therefore, it should be the main aim of every organization to maintain as healthy relations with their customers as possible. Business strategies should include customer engagement plans as well. And, solutions just like the Microsoft Dynamics 365 empowers the company to execute those plans and take good care of their customers! Why Does Your WordPress Site Have A Slow Response Time?